MB Electrical & Plumbing Services - Central Heating Engineer, Electrician, Plumber based in Naphill, Buckinghamshire. 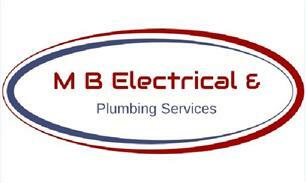 M B Electrical Plumbing Services started trading in 2000, so we have been carrying out all types installation for over 18 years however some of our engineers have been in the electrical and plumbing service industry for over 45 years. We pride ourselves on our prompt and effective work carried out to the highest standard with enthusiasm. We carry out all types of electrical and plumbing works in regards to electrical installations, anything from changing a broken switch or socket to installing a full wiring system in new build or refurbish properties. And in regard to our plumbing and gas services we carry out anything from changing a tap to a complete hot and cold water installation, carrying out boiler breakdown / servicing to a boiler replacement and issue landlords CP12 certificates. Based in Buckinghamshire we carry out our works in Buckinghamshire Berkshire, Hertfordshire, Middlesex, Surrey as well as London. We have a client base from home owners, estate agents, builders and property developers and facility company's for whom we carry out work on a regular bases. We offer a genuine 24 hour call out service. · Heatrea Sadia / Megaflo Cylinder Approved installers / Service Maintenance Engineers. If you are looking for a reliable electrical, plumbing and gas contractor then please don't look any further and give us a call.